The types of medical degrees you can get from a Christian college are fairly similar to the degrees you can get at a nonsecular institution of higher learning. Students sometimes assume that these programs focus more on religion than science, and while this is true to a point, it doesn’t mean that those schools offer no medical programs. Both the skills you learn and the courses you take are similar to the medical courses offered at hundreds of other colleges. According to the Bureau of Labor Statistics, the need for medical records and health information technicians will increase by 22 percent, which represents the addition of more than 41,000 new jobs. Medical billing and coding experts work for hospitals and medical offices to create the bills sent to patients and insurance companies. They need to know the basics of medical terminology, the figures that represent different procedures and how to use different types of software. Many christian colleges have programs in medical coding and billing available. Christian counseling is one of the other types of medical degrees you can get from a Christian college. Counselors help those dealing with mental illnesses and other types of problems get back on their feet again and experience fewer symptoms. Christian counselors often use teachings from the Bible and scripture to help people recover. Though you do need an advanced degree before working as a counselor, you can earn your undergraduate degree from a religious college. You can choose a program that will enable you to work in a substance abuse treatment center, a mental institution, a hospital or in your own private practice. One of the more specialized medical programs available from Christian colleges is a nursing program. Nurses work with doctors to take the medical histories of patients, to check their vital statistics and talk with them about their conditions before they meet with a doctor. While you do need to pass a nursing board test to receive your license, your degree program can give you the information needed to pass that exam. Nurses can work in a general practice and treat patients of all ages and backgrounds, or they can work in specialized fields, including pediatric, psychiatric or geriatric care. 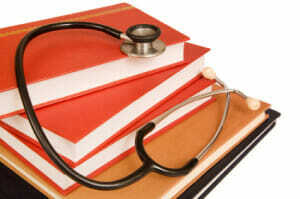 Medical humanities is one of the other types of medical degrees you can get from a Christian college. This is a newer field that looks at patient care in terms of holistic or alternative care. Instead of giving a patient antibiotics, a practitioner might recommend that a patient use natural herbs. With the number of patients with food allergies and those looking for green treatments, the number of medical humanities practitioners will likely increase. While these programs are available at only a handful of schools, many of those schools are religious institutions. Depending on where you live, you may need to attend graduate school or pass a licensing or certification examination before practicing in the field. Christian colleges use religious guidelines when teaching their students, and these schools often ask that students meet certain requirements, including following a curfew or attending church. The types of medical degrees you can get from a Christian college are the same degrees you can get from other schools, including degrees in nursing and medical billing and coding.